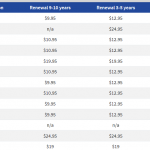 Hostway has been in the hosting business for almost two decades. Within this time, the company has served small to medium sized business and even some Fortune 500 companies. At this point, they have 500,000+ customers all over the world. 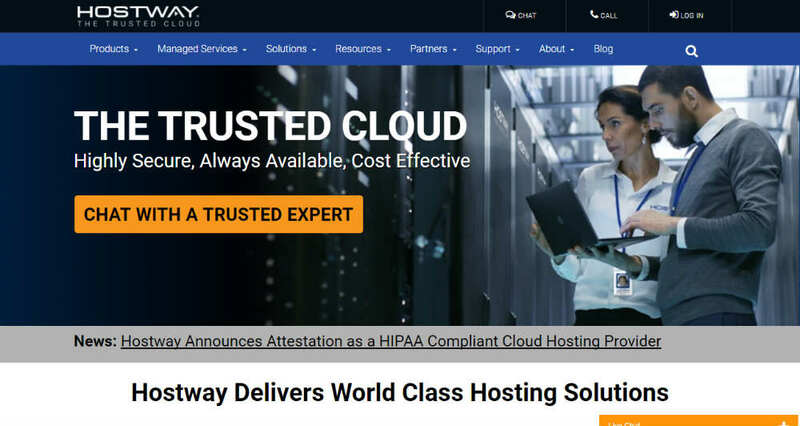 Hostway takes pride in offering managed cloud hosting plans with special focus on health care, SaaS apps, and PCI compliant businesses. Besides, it also offers some additional services like infrastructure management, database management, email solution, and Magento optimization. However, the company doesn’t provide detailed information about its hosting plans, which makes it a bit challenging for the customers to take the decision. There are lots of ready-to-use, professionally designed templates to help you get started within a short period. For customized designs, you can use the WYSIWYG editor and create any type of layout you want. Thanks to the built-in OX App Suite emails, you can enjoy professional email services with the Starter plan. Website Starter: For a monthly price of $6.95, the Starter plan is perfect for businesses that need a basic website with simple user interface. The plan comes with lots of professional templates, WYSIWYG editor, OX App Suite email, marketing tools, and unlimited monthly traffic. FlexCloud: Priced at $12.95 per month, this cloud plan is an excellent choice for businesses that need a robust set of features. It allows you to choose from Linux or Windows OS, 300GB disk space, unlimited monthly traffic, 400 email accounts, MySQL databases, and a free SSL certificate. VPS: Starting from $19.95 per month, this is targeted at web designers and developers that require a flexible environment. The basic Linux version offers 15GB SSD storage, 1GB ram, 1TB monthly traffic, partitioned server space, and the option to choose cPanel or Plesk. The Hostway Knowledge Base offers detailed answers to all the beginner questions. For more advanced issues, you can use the live chat, customer support hotlines, or email ticketing options.